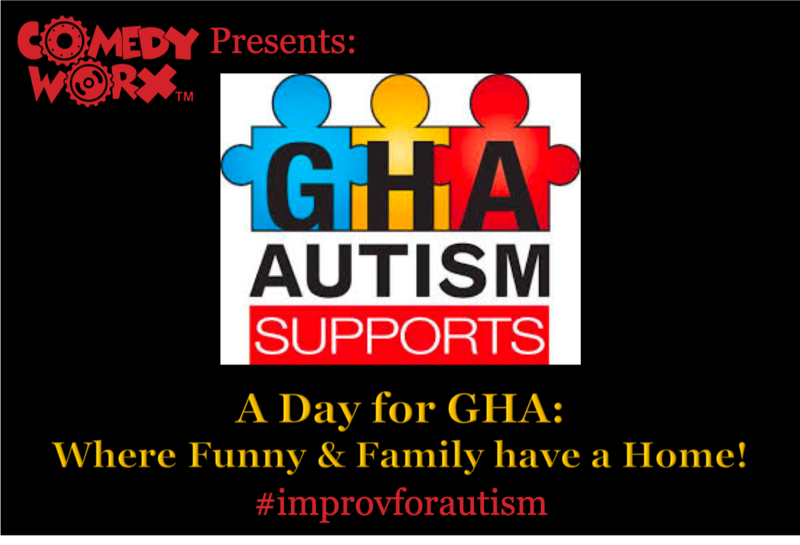 ComedyWorx is thrilled to be hosting a very special show for the benefit of GHA Autism Support at 4:00pm and on April 14th! GHA Autism Supports provides quality, community services to meet the unique needs of individuals with Autism Spectrum Disorder. They create environments where people of all ages with Autism Spectrum Disorder are understood, valued for their diversity and are given opportunities to grow, as well as contribute to the community. All proceeds from the ticket sales for this event will be going directly to GHA. Additionally there will be a silent auction before and in between the shows where you can also bid on some fabulous items for a great cause!